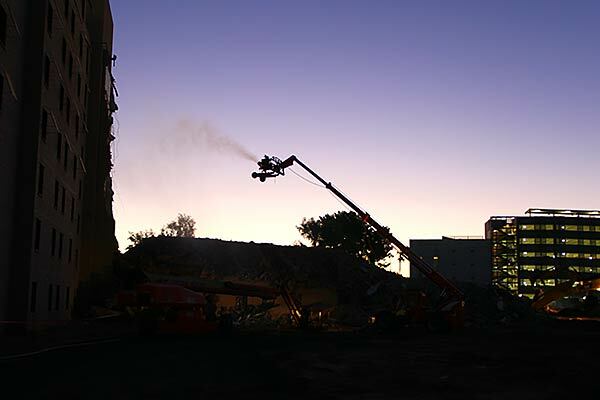 Dickens successfully and safely removed a total of 31,621 tons of material from a busy area located on the Arizona State University campus. 29,457.43 tons of inert material (concrete/block) were demolished and hauled from site. 230.39 tons of recyclable piping and wire were removed from site and recycled. 1,933.18 tons of trash were stripped from interior of building by hand and hauled separately of inert material. Multiple applications of water were added continuously for dust suppression.